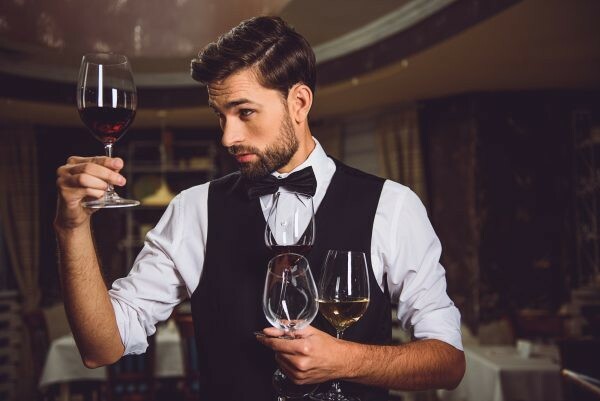 You may have noticed that fancy restaurants prefer to open your red wine and leave it to aerate or ‘breathe’ for a while before pouring your glass, or that you are encouraged to swirl your wine glass when tasting a new bottle for the first time. Often you will see wine aerators used professionally. This is because exposing your wine to air causes oxidation. When this happens, the unwanted and volatile compounds in the wine, such as ethanol and sulfites will evaporate more quickly and leave you to appreciate more of the aromas and floral bouquets of your wine. However, leaving your bottle of red wine to breathe before pouring can be frustrating for most wine drinkers, even the very patient ones. The good news is that by purchasing a wine aerator, you can speed up this process and aerate your wine instantly. Aerators come in a range of sizes and designs, with many different features. However, they all provide a small chamber where wine mixes with the necessary oxygen levels before then reaching your glass. By first moving the wine through this chamber, the volatile compounds evaporate and leave only the best tasting wine. This process can also eliminate unwanted sediment from your glass. We suggest the Menu Red Wine Decanter Wine Breather by Peter Orsig! How Many Bottles in a Case of Wine? Planning a wedding? Prepping for a party with your family and friends? Maybe you want to organize a wine tasting? If so, buying a case of wine may be in order. When it comes to figuring out how many cases of wine you need, it is always helpful to know how many bottles come in a case. It might also be useful to understand the benefits of buying a case versus multiple bottles of wine. When you buy a case of red wine for your event, you will end up saving money in the long run. Purchasing wine bottles for a large event will ramp up a significant price. But, opting for a case of wine will save you money in the long run. Now that you know buying a case of wine is the best option, it’s vital to know how many bottles are actually in a case of wine so that you can effectively plan. In a standard case of wine, you will receive 12 bottles of wine. Each wine bottle (if standard size) contains 750 milliliters of wine. Therefore, if you have 12 bottles, you will have 9 liters or 2.3 gallons of wine in one case of wine. Just make sure you have a good wine opener that can handle the long wine list you have created. How many Cases Should You Buy? The biggest question when it comes to planning a party is how many cases you should buy for your guests. There is a simple formula that you can follow that will allow you to accurately estimate how many cases of wine would be sufficient for your occasion. 100 guests X 4 hours X 1 glass/hour = 400 glasses. Then, you take the 400 wine glasses and divide it by five glasses that you find in each bottle. You will get 80 bottles of wine. And, if you wanted to make sure that both wine lovers are taken care (red and white lovers), you can divide the 80 by 2 to get 40 bottles of red and 40 bottles of white. If you have figured out that you need 80 bottles of wine for your 4-hour wedding for 100 guests, you will then need to figure out how many cases you will need. Divide the 80 bottles of wine you will need to keep the 100 guests happy at a wedding by 12 (how many bottles are in a standard case), and you will get 6.6 cases. Round that up to 7 cases of wine, and your wedding is sure to be a hit, with wine glasses never being empty. How Should You Select Your Wine? Remember that there are many different wine lovers out there. Buying multiple cases of red wine may not do your party much service. However, if you choose a variety of wine to compose your case of wine, you will be sure to please everyone. Make sure to choose some bold and light red wine and white wine to keep the selection interesting and versatile, and that you will always have a wine bottle of the variety you prefer at hand. Choosing the wine to create an exceptional case for your next party can be easy and affordable! Michael's Personal Pick! [/caption] [caption id="attachment_2479" align="alignnone" width="450"] Corkcicle Classic Wine Chiller: $19.95[/caption] [caption id="attachment_2474" align="alignnone" width="250"] Vacu Vin Wine Saver: $12.99[/caption] [caption id="attachment_2477" align="alignnone" width="278"] Vacu Vin Extra (2-Pack) Wine Stoppers: $5.99[/caption] [caption id="attachment_2475" align="alignnone" width="271"] "Ah-So" Two-Prong Wine Opener: $8.99[/caption] [caption id="attachment_2476" align="alignnone" width="210"] Neptune Ice Ball Tray: $9.99[/caption] Please note: Delivery can no longer be guaranteed by Christmas for online orders.